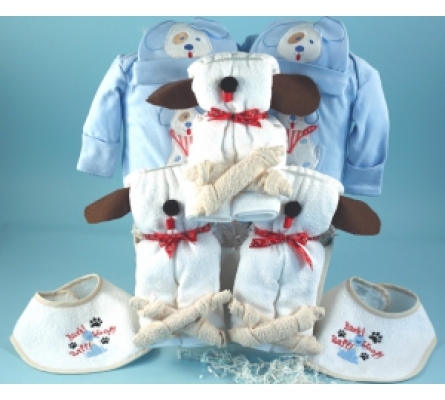 For this very special occassion simply choose Three Little Puppies Baby Gift Basket! With "best in show" good looks, quality layette items for all three babies, and a stunning gift presentation, Three Little Puppies Baby Gift Basket is the "pick of the litter" choice for triplet boys. 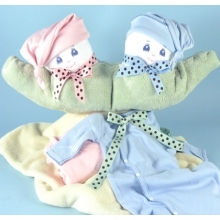 Also available for twin boys is the appropriately titled Two Little Puppies Baby Gift for Twins.